The Planning and Zoning Commission is a seven-member board that considers rezoning, preliminary and final plats, site plans and certain ordinance changes. 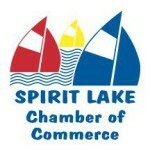 The Commission is appointed by the City Council and reviews applications in accordance with approved regulations pertaining to all zoning districts within the City of Spirit Lake. The Commission also gives reasonable consideration to the character of districts and their unique suitability for particular uses with a view toward conserving the value of buildings, encouraging the most appropriate use of land throughout the City and encouraging compliance with an approved comprehensive plan. The Planning and Zoning commission meets on the third Tuesday of each month at 5 p.m. in the City Council Chambers, 1803 Hill Avenue, if there are items for their consideration. If you have questions about the Commission or any items on the agenda, please contact City Hall at 712-336-1871.